You’ve heard about ‘the cloud,’ but did you know it could boost the efficiency of your business – saving you both time and money? Whether you’re a small business working from an office or self-employed and on the go, cloud job management ensures that you’re never far away from the important day-to-day running of the business. 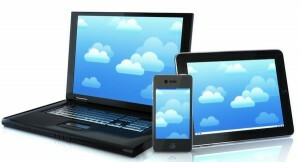 What are some advantages of cloud job management? Most small business owners are on the go – thanks to the implementation of smartphones, tablets and desktops. Stay connected to your business on any device, whether that means going over job details, bank reconciliations, credit card charges or managing invoices on a daily basis. Having your data and finances at your fingertips allows you to take care of business https://celebrexhome.com quick and efficiently, so you have more time to spend on the things that matter most – growing your business! Other advantages to using cloud job management tools is you can easily integrate the program with your accounting software. Cloud-based bookkeeping plans allow you to connect with your accounting software so your banking transactions are automatically updated – this allows you to pay invoices with a single click of a button or keep track of spending at all times. Track time and costs from a job site or with clients directly onto your device. This also reduces the risk of errors, making tax time a bit easier to manage. Once you enter the information into the cloud-based program, it becomes available for the entire team to access – the ideal way to enhance efficiency and communication between you and the rest of your employees. Want to get started? Contact us for a consultation and be sure to visit us on Facebook!